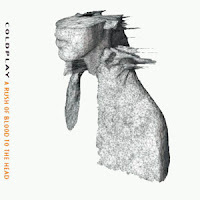 All the songs in A Rush of Blood to the Head are amazing but Politik is the one song that made it my favourite Coldplay album. I think it is one of their greatest songs ever, without a doubt. Each time I listen to it it would trigger my emotions in so many ways. As for the musical arrangements of Politik, i'm addicted to the stunning thumping beats and consistent drums throughout the intro. In the beginning of the song, emotions of anger, unrest and frustration are expressed and towards the end the music flows full of hope and peace. I just love the pure symphonic, intense and dreamy vibe to the whole song. To me the lyrics can be interpreted in so many ways. It can be as general as talking about internal struggles, world issues, personal growth, relationships or a battle against yourself. It can also be about politics and love intermingled. I would love any discussion on your own interpretation of the lyrics. When Chris sings 'look at earth from outer space' I assume he is saying that every human being needs to know that they have their own place and purpose in the world. He is also telling us that we should take a look around the world and ask ourselves 'who am I? ', 'what's my purpose in life?' and 'what is my contribution to life, world and humanity? ', 'What do you believe in?' and 'What is your stand?' It reminds us that even though we can't do everything, anything is at least something. We don't need to conform to the norms. Just do whatever we believe is right and stand for what we believe in. This is also a song questioning our own personal political identity. Some people seem to blindly follow and idolize people (be it a politician, a celebrity or whoever) and they dont really have a clear stance and a clear belief on what they really believe in. When they idolize someone, they see them as perfect and nothing wrong can be done by their 'idol'. That is why Chris asks us to "tell me your OWN politik" so that we realize that we should form our own opinions and our own point of view without blindly following others. I also believe that the song is about hypocrisy and superficiality that exists in the world and the obsessions with the petty / negative things in life when we should be more concerned about the real important issues of the day. It is also a wake up call directed to those who are racing for wealth, power and status in life. Well, that is just my take on it. Everytime I listen to it I tend to think about different things. In a way, the song is a good 'reminder' for myself also. Sometimes we just need little reminders, don't we? I read somewhere that the song is actually about a famous russian journalist, Anna Politkovskaya since Chris Martin has voiced his admiration for her. She was a human rights activist and journalist who was the mortal enemy of Putin. Putin allegedly had her arrested and ordered her to go through a mock execution, before she was finally murdered in her apartment. This theory could be true since the spelling of the title is similar to her name. (It's also the way politic is spelt in Malay, with a K. Hehe). Whatever it is that they were actually trying to express, the cohesion and balance of the music and the lyrics of Politik has managed to touch my soul.